I am a newby here, and I'd like some help please. We've decided to replace our chipped contemporary Briscoe's tableware with something more interesting and I've been reading up on Crown Lynn and looking at the video of the City Gallery Setting the Tables...exhibition. 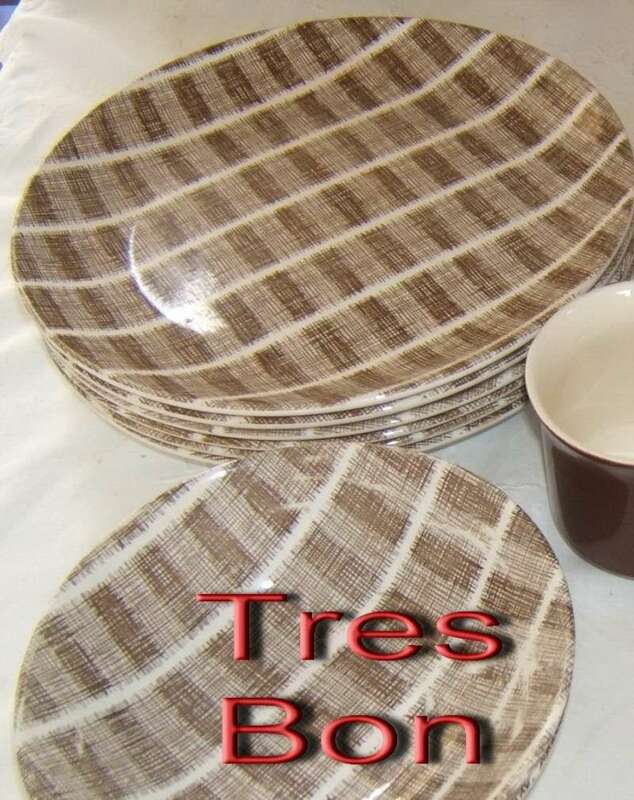 I've found a dinner set on Trade Me that I like a lot - the pattern is Tres Bon. The seller says it dates from the 1960s. 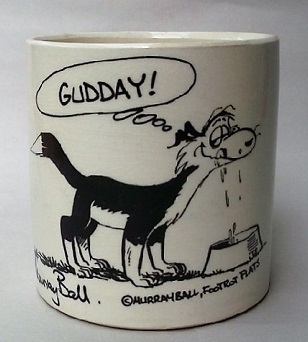 I can't find any other information about it though- is anyone familiar with this pattern? The seller also says it is one of the more rare patterns - any thoughts? I am also considering a Honeyglow set - is this from a similar period or a bit later? The final set I'd like to know about, is a white plate with a spray of hedgerow plants (? - I'm no botanist! ), called simply "Glade". Do you know when this dates from approximately? Having asked all this, I think my first choice would be Tres Bon, but I'm very interested in what I might learn about the others! Don't know if you have found our Crown Lynn Tableware Gallery yet? This is in the popular Apollo ware range with the ridged edges which was first released in 1969. Honeyglow appears to have been produced in the 1970's. Another popular pattern that comes up on TradeMe regularly. There are two Glade patterns on my Crown Lynn Database. 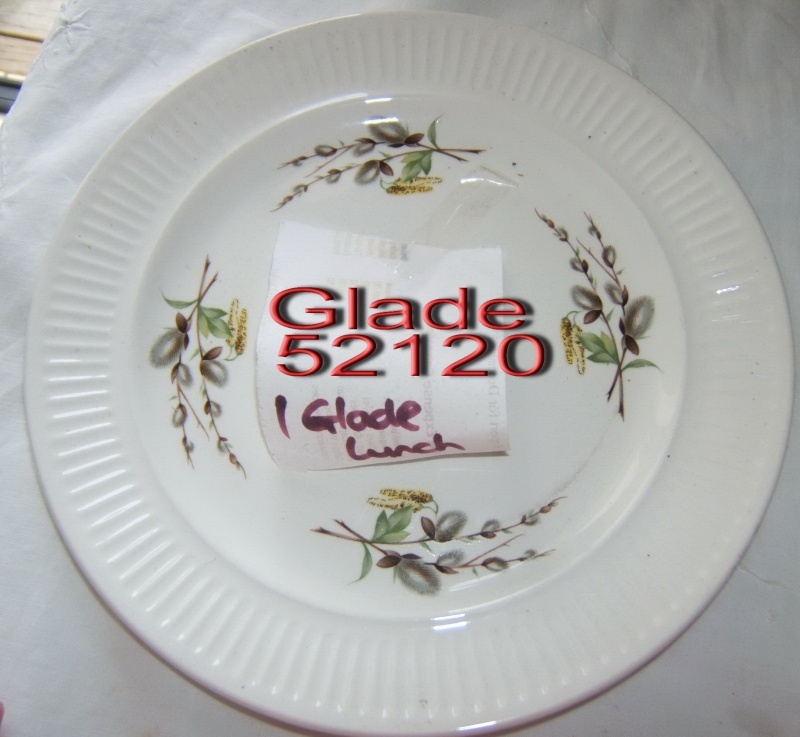 Glade 52120 - This is another from the Apollo ware range and has pussywillow or something similar as the design. This pattern doesn't show up in any of the Crown Lynn records that I have so it's hard to say when it was made, except that with a five number deco number it would be later rather than earlier. We don't have this pattern in our Crown Lynn Tableware Gallery either! Ev, thanks so much for your welcome and your response. I've studied the tableware gallery intently(! ), so I knew Tres Bon wasn't in there. The Glade set does look to be a newer product - the seller says it hasn't been used so that perhaps fits in with the 1980s dating. I was interested to read your comment on the glaze on the Tres Bon set - we want something to use everyday so this sounds ideal. Having something that's a real piece of New Zealand heritage is a lovely idea, I think, and the fact that it can be used as part of our daily life gives a great feeling of continuity. I do like the Honeyglow... but I'll keep watching the Tres Bon. Don't really want to pay the buy now price, so I'm holding off for now, which is always a bit of a gamble! sorry about the number over the pattern it was an early attempt to label things. I checked out Tres Bon on TradeMe and saw a set and it did seem reasonable. and Crown Lynn lasts and lasts and you can still find pieces to replace any mishaps. Thanks for your replies, Marl and Ev. It's probably the same dinner set on TM that I've got my eye on Ev - I had no idea whether the price was fair, but it does seem reasonable to me, and I do like the pattern.